Finish Possibilities Part II – Neutrals! Different doesn’t have to mean dangerous. You can classify looks like the orange and green of the 70’s or the hunter green of the 90’s, as a fad that becomes old and unworkable when tastes shift and the inevitable next trend appears. In the last few years, the fashionable colors have been neutrals, but the word “trend” just doesn’t fit them. Beige, gray or taupe may be the predominant color in a room, but they can also serve as a foundation for any color – and it’s a foundation with staying power. The range of colors in Merillat’s Masterpiece line stretches from a placid Dove White up through a dramatic Onyx and includes Merillat’s vibrant Cardinal, a red painted finish that’s a great color for an island or a butler’s pantry. There’s a wide range of stained and painted finishes to choose from when selecting a finish color for your new kitchen, which means this can be a very tough choice. Neutral pastels in light gray and creamy tones are coming to the fore but white-painted cabinets are classic, reaching back more than 100 years. Between 1900 and 1920, when cities began focusing on improving the health of their residents, many inaugurated water systems. This began a wave of modernization, with an emphasis on cleanliness and good hygiene as the ideal. 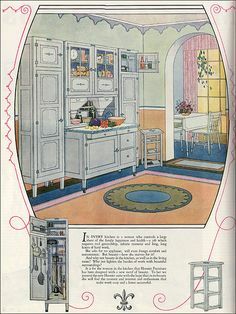 As the concept of the hygienic kitchen took hold, many manufacturers started producing white cabinets to appeal to the modern expectations of their customers. 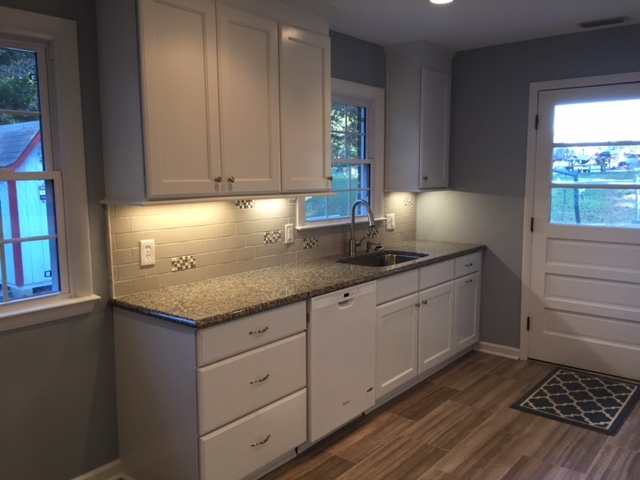 Merillat Classic’s Ralston cabinets really score! A recent Carolina Kitchen & Bath project in Kernersville, NC proves that small doesn’t have to be skimpy. Our client chose Merillat Classic Ralston with a painted Cotton finish to lend a clean, uncomplicated look at an affordable price. Staying within the budget was important, but that didn’t mean they had to sacrifice smart storage options. The base cabinets have added functionalities that maximize the usefulness of the space. Don’t just take your chances. The large home improvement centers have everything for a remodeling project. Lumber, cleaning supplies, carpeting, light bulbs, grass seed, ladders and toilets. You can find just about everything you need for household DIY projects at a Big Box store, but if you need help, you take your chances. 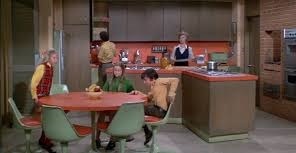 For a complex job like remodeling a kitchen, that’s a big problem. If you need a kitchen for that new home you’re building or you want to remodel your existing kitchen, come to us. At Carolina Kitchen & Bath, we do one thing and we do it well – design, sell and install kitchen cabinets and countertops. Our designers have the training and experience to lead you through the process as well as the time to focus on your job. What Does the Warranty Really Mean? 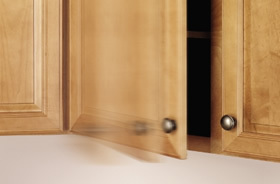 A cabinet warranty isn’t just a guess; it’s a statement of quality that’s based on development and testing, and it is an indication of how long a manufacturer thinks a product will last. Sure, the warranty that Merillat offers protects you against the failure of a part, but it also gives you an idea of what Merillat thinks of their products. They offer a Limited Lifetime Warranty on their Masterpiece line and a 25 Year Warranty on their Classic line of cabinets. Both guarantees are a result of painstaking research that has to be completed before they introduce a new product or innovation. 1) Cover the doorways. Buy .5 mil or thicker plastic and tack it up above the doorways to the kitchen. 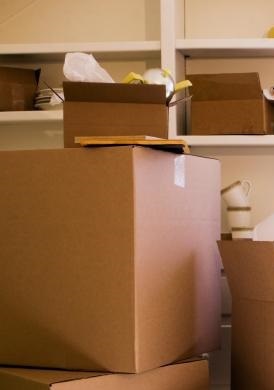 It’s also helpful to cover any other openings to nearby rooms and closets and keep them closed. 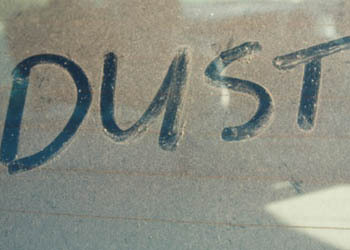 It doesn’t stop all the dust but it makes a big difference. 2) Protect the furniture. It’s up to you to take care of that heirloom china cabinet or your walnut dining room set. Be proactive and drape the furniture with thin .2-.3 mil plastic. Take down anything hanging on the wall or drape it with thin plastic, too. Merillat adds value with its Soft-action+ soft close door, now standard on its Merillat Classic line. Merillat has a birthday, you get a gift. Everybody likes getting more for their money and Merillat knows that. To celebrate their 70th birthday, they are adding their SoftAction+ Technology to its Classic line as a permanent addition to its long list of standard features. No need to pay extra for soft-close doors; starting today, it’s on every door on every order at no extra charge. Packed with value, Merillat Classic cabinets have the quality, features and good looks you’ll enjoy for a lifetime. Come by Carolina Kitchen & Bath and let us help you realize your own kitchen dreams. Light the Candles, We’re Having a Celebration! 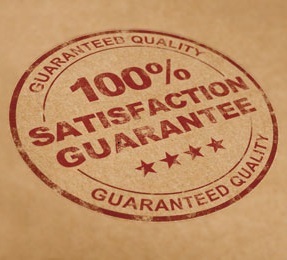 A 70-year tradition of quality. Merillat Cabinets, maker of quality cabinets for your home, is celebrating its 70th anniversary! Merillat Woodworking was founded in 1946 by Orville and Ruth Merillat in a 2,400 square foot shop in Adrian Michigan; a facility that was about the size of an today’s average home. After 70 years and countless happy customers, Merillat Cabinetry is still going strong, offering a range of cabinets for kitchen, bathroom, entertainment and office uses to fit a variety of budgets. Is this your dream home? Building a new home is a pretty big undertaking and not just in terms of money. You’ll also invest a lot of your time, energy and thought before you turn the key in your new front door. Part of this ambitious adventure will be figuring out allowances. Lighting, flooring and appliance allowances are pretty straightforward; the allowance for cabinets and countertops may not be, so you’ve got to do your homework. A good rule of thumb is that the kitchen and bath cabinets and countertops should cost from 4-6% of the purchase price of a new home. This means that if you’re building a $250,000 home, the cabinet and countertop allowance should be between $10,000 and $15,000. If your builder tells you the allowance is $7,500 on a $250,000 home, you need to ask some questions before you sign the contract. Allowances give you some freedom of choice, however it’s also a limit. Choose your options judiciously, do as much research as possible and plan ahead. With most new construction, a contractor often deals with one dealer or outlet for cabinets. Find out where it is, then stop by to see if the styles, finishes and quality you prefer are available. 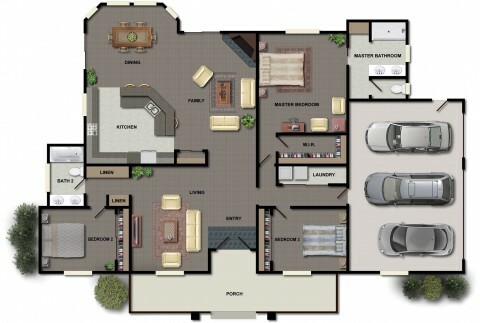 Look at your home’s floor plan and see what details are indicated. Are there decorative panels on the ends of the island? Are crown molding and light rail specified as part of the plan? What storage options are included? Are there added conveniences like a pull-out trash can? What would it take to get glass doors on a few of the wall cabinets?